We’ve got six words just for you: Peanut butter cup in a cup. With the Chocolate Peanut Butter Organic Protein Sample Pack, you’re getting just that. Everything you love about chocolate, peanut butter, and protein can be found in a simple, single serving pack that you can take anywhere. Natural, organic ingredients, make the Chocolate Peanut Butter Organic Protein Sample Pack the perfect on-the-go treat to brighten up your day and your sweet tooth. 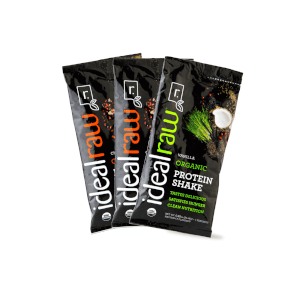 The chocolate peanut butter IdealRaw is my absolute favorite of all the flavors. Tastes more like dessert than a protein powder! I purchased a sample pack when they were out of stock of the tubs, and I will definitely be stocking up on the tubs now. Delicious! Hands down the best plant based chocolate protein I've found. The taste is not chalky at all and blends like a dream. I love blending with a banana and almond or coconut milk for a tasty post workout shake, or add a small amount to my banana "nice cream" when I am craving something sweet. Totally hits the spot! This was generally ok but was way too sweet. It would have tasted ok but was so sweet. The flavor of the artificial sweetener was near overpowering for me. The mix is a bit grainy and doesn't mix as well as other ideal products also. Absolutely delicious! Love the flavor and the texture is very smooth. I just shake mine in a shaker cup and it mixes well, no chunks. Already ordered two big containers! Yum!! Choc PB is a winner!! I received a couple of sample packets of the Choc PB with my first order which was VERY cool!! I used dark choc almond milk and water/ice and was surprised to really TASTE the PB as I drank it. Very good flavor blend of the choc and the PB. 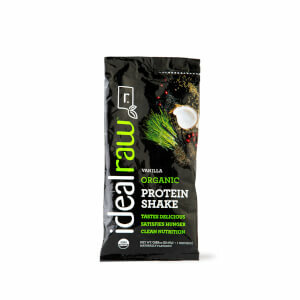 This one is a hit among many customers so I've been waiting oh-so-patiently for this to be available in the large tubs ... lol Great taste, high quality ingredients, organic, high protein, plant based ... another excellent flavor!! I tried the sample pack and this is my favorite by far! So smooth, creamy and full of flavor without being overbearing. I can't wait until it's available in a full canister, so I'll be ordering sample packets until then! A+, 10/10! So many drinks claim they are good then they have a nasty after taste. This literally tastes amazing. I have zero complaints. It felt like I wasn't eating clean  I'm sold! I drank another protein shake for over a year. It wasnt bad but the first time I tasted this, I was amazed that a protein powder could taste this delicious! I am in love with this flavor! 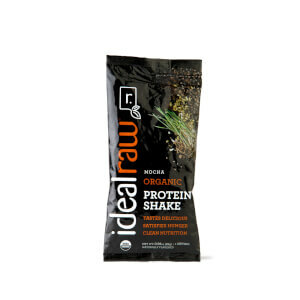 In my quest for a healthier protein powder that actually tasted good, I tumbled upon IdealRaw. I have tried MANY different powders and this was different!! I actually feel great after drinking it, it tastes AMAZING, and it helps me stay full and fueled! Peanut butter chocolate is hands down my favorite!